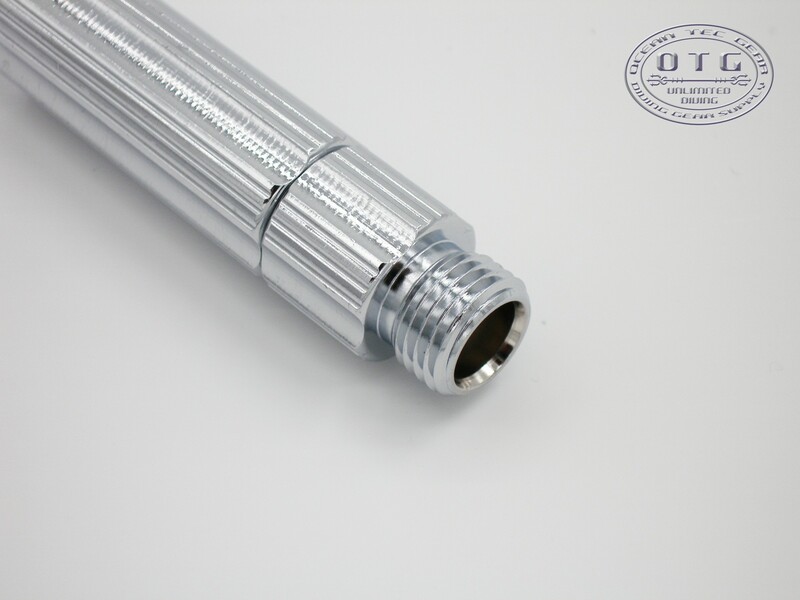 OTG Technical Scuba Diving Inline Second Stage Regulator Adjustment Tool is used for fine tuning 2nd stage regulator. 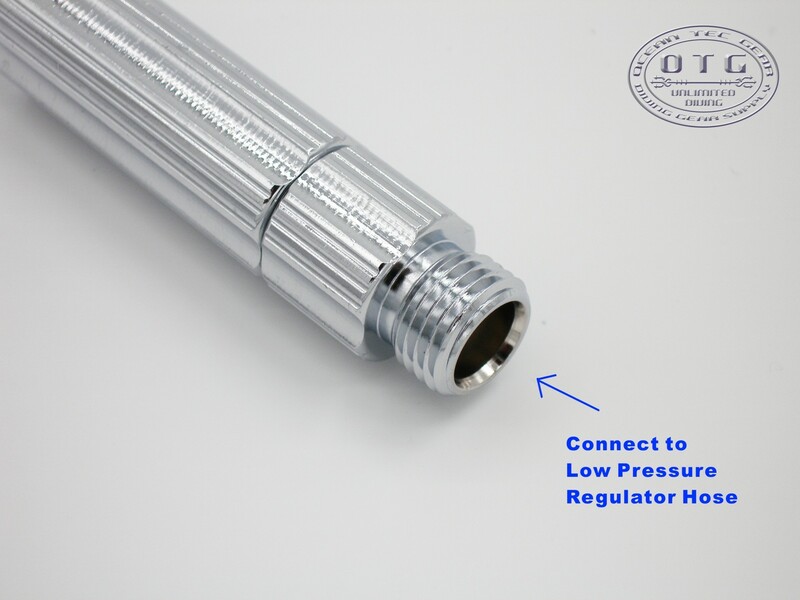 Just connect the tool inline between the 2nd stage regulator and the LP hose, allowing adjustment while the hose is pressurized. 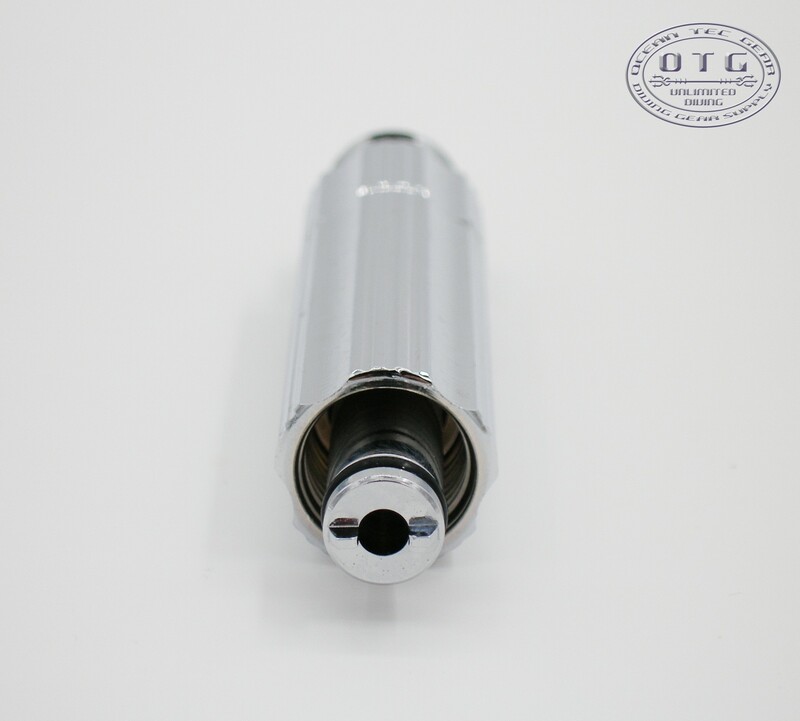 The flat slot drive of the tool will be inserted in to the 2nd stage to allow the orifice to be turned to find the exactly the proper adjustment for the 2nd stage air inlet. 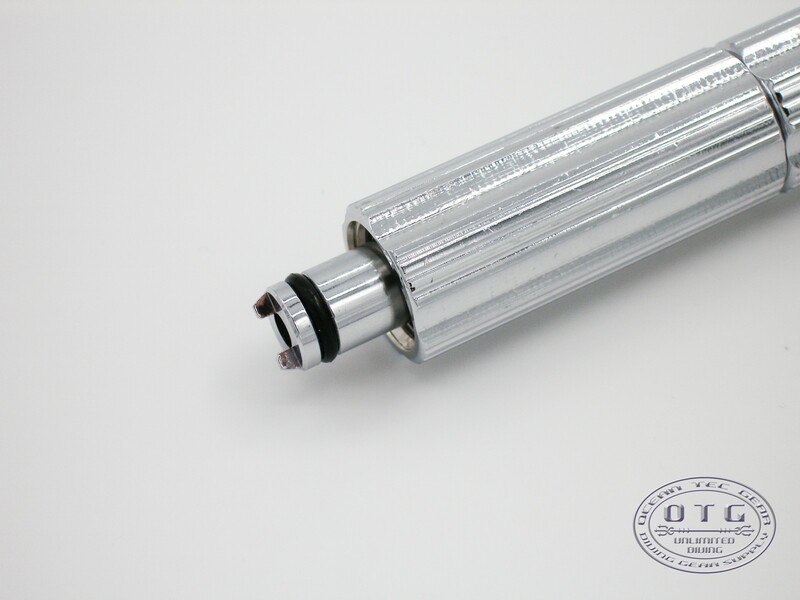 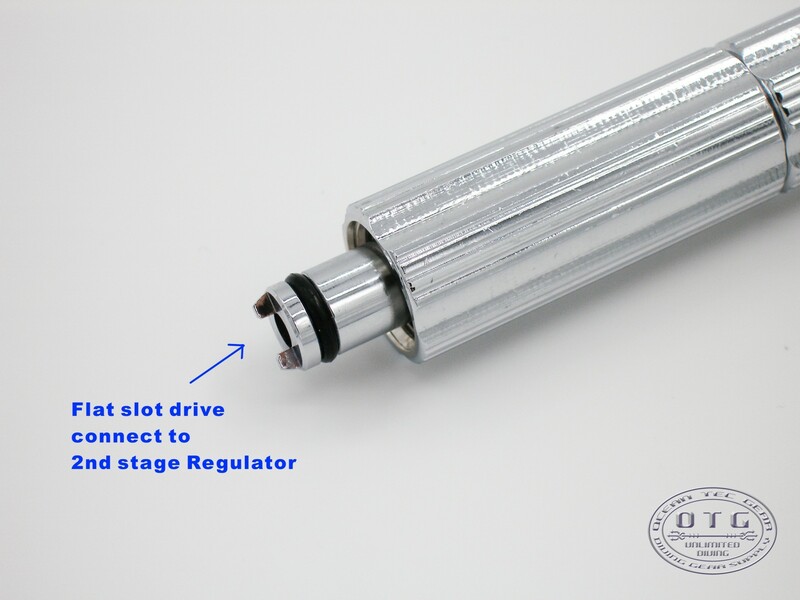 It is fit for most modern design 2nd stage regulator which is adjust by flat slot drive. 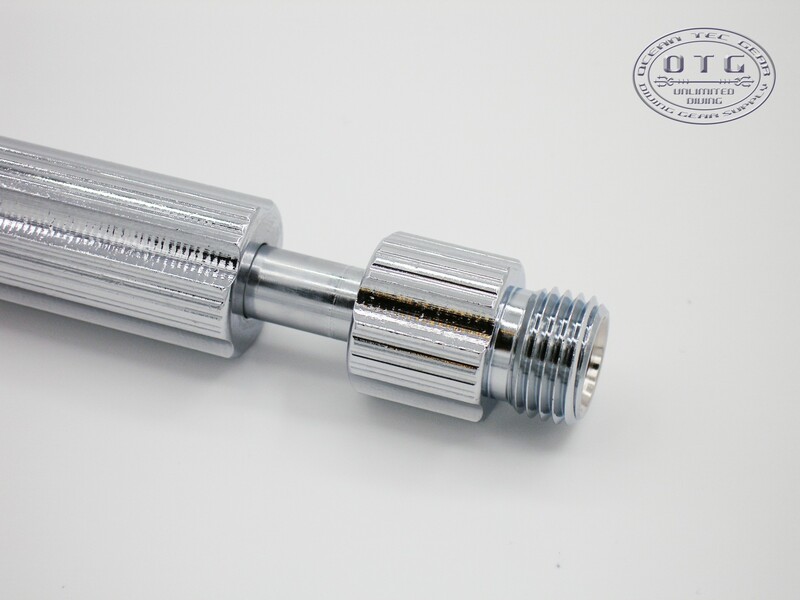 - Material: Brass with Chrome Plated. 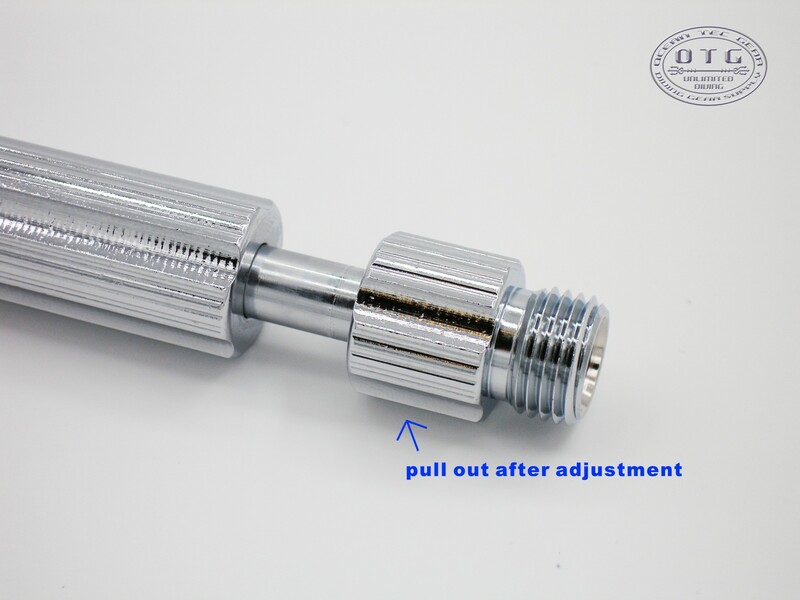 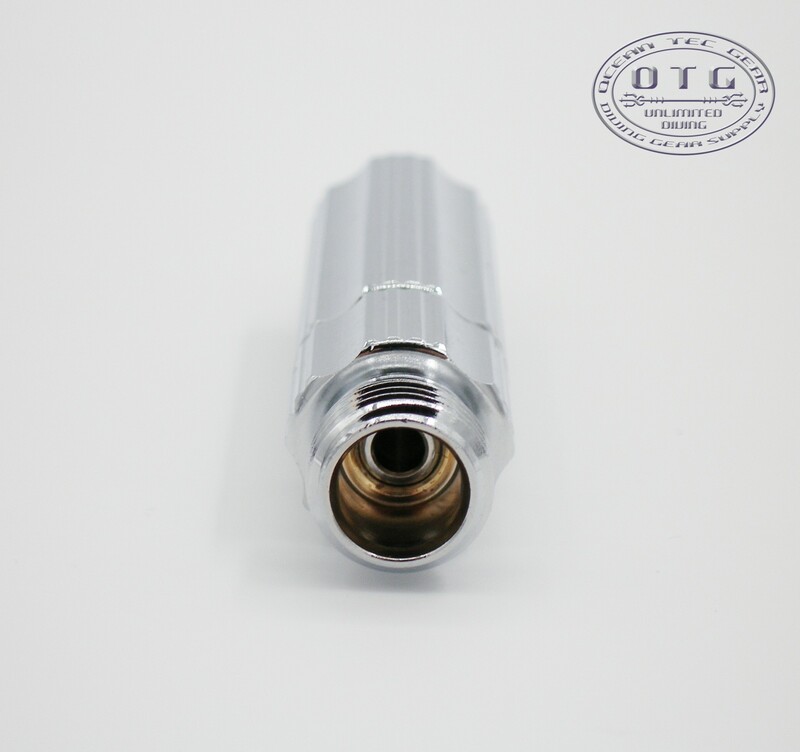 - Connect the tool inline between the 2nd stage regulator and the LP hose. 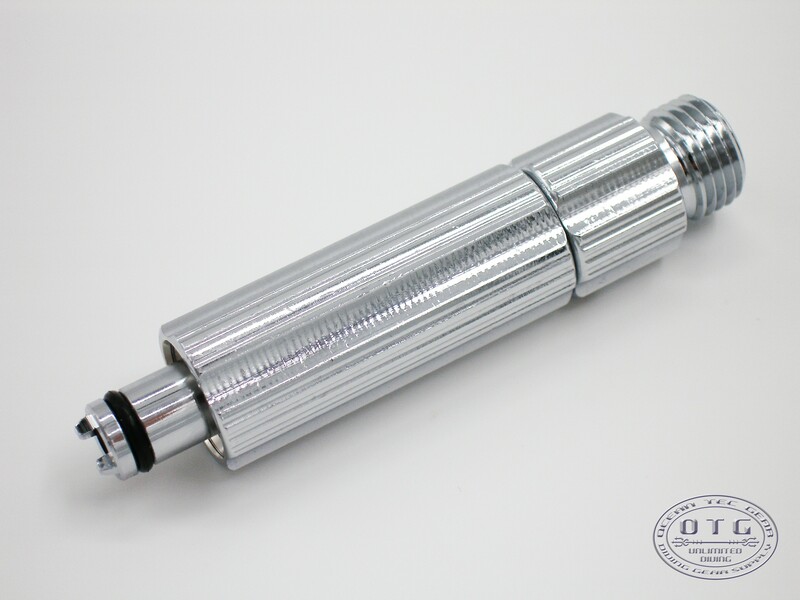 - Fit for most modern designs 2nd stage regulator which is adjust by flat slot drive.